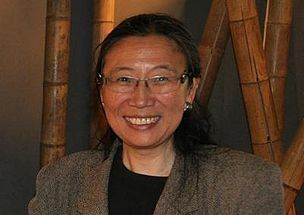 Mrs. Charling Tao, was born in 1955 in Taiwan. She grew up in France, Zaire, and Lebanon, studied in Harvard, Chicago, and Oxford, and considers herself a citizen of the world. She is the proud mother of two (a lawyer and an architect) and shares her time between Beijing and Marseilles (France), and whatever places her profession (particle physicist and cosmologist) and activism (peace, human rights, environment) require. Concerning environmental education, Charling believes it is fundamental that everyone in the world understands that the world today is in danger, but there might be hope if we act immediately. We (the first sentence is 3rd person and this one is 1st person) need to invent new forms of sensibilization and participation to help people take action against the destruction of our planet’s environments, cultures and people. Technically there are solutions to solve the problems of hunger and to stop environmental destruction. We need, however, to convince everyone on this planet that it is time for action. Earth’s hope is meant to address these fundamental issues.